You Have to See Our New Pillows! Today we’re launching new members of the SM Pillow Collection at McGee & Co.! That means the pillows are designed in-house and exclusive to our shop. We’re so excited to launch these new patterns that we wanted to take you on a behind-the-scenes look at how they’re made. Shop now! The Camille pillow brings a global aesthetic to your home with a traditional floral motif. We carefully picked each color option to ensure both versatility and timelessness. Choose between mauve, gray, and navy. The Zoey Patchwork Stripe’s interesting layout is created with warm swatches of our current favorite tones. It brings a contemporary touch to your sofa or bed. 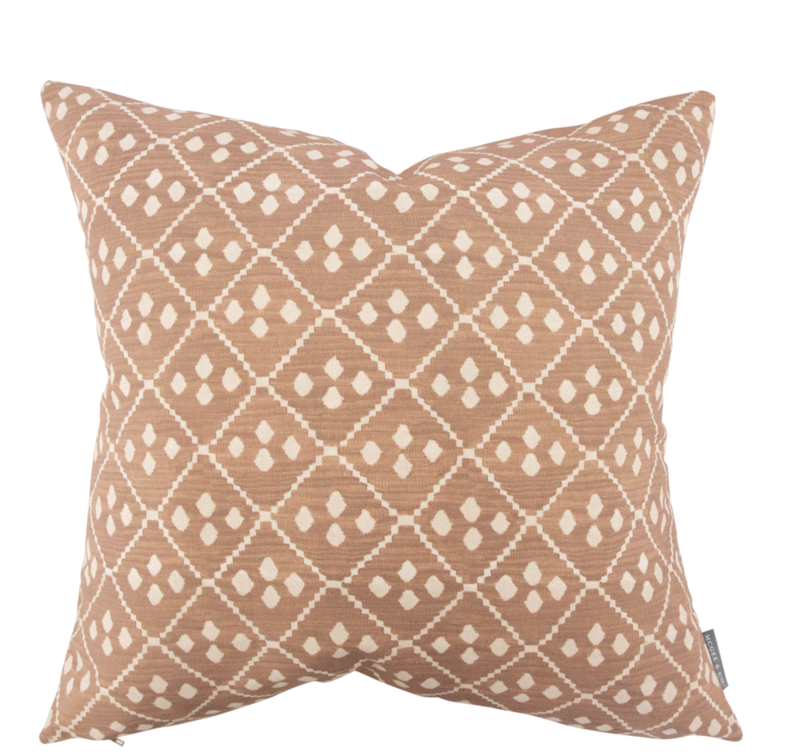 The Oxford Woven Plaid has a modern plaid is our first embroidered pillow with dimension that’s impossible to get with print. Need inspiration for making the bed? Our foolproof guide to pillow styling for your bed is on the blog! Read now!